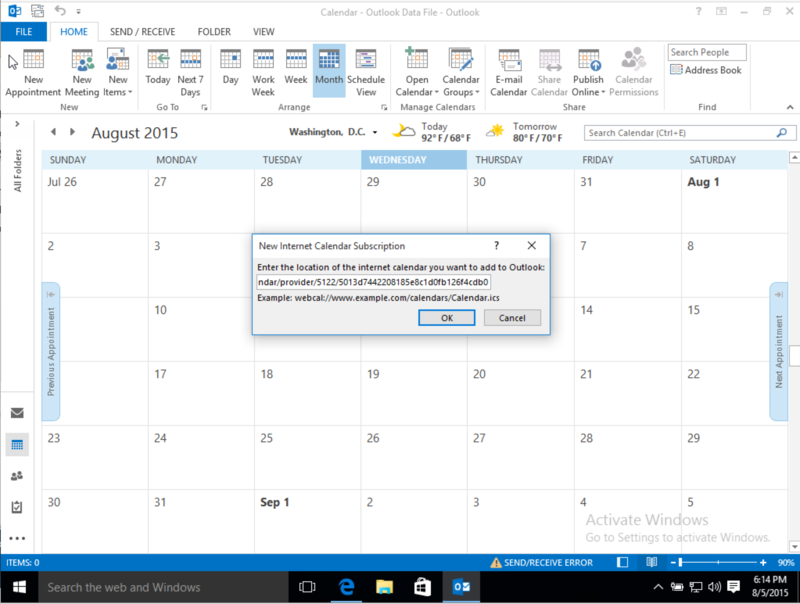 Below are instructions to view your Tourbuzz calendar on your PC using Outlook 2013. If you have multiple photographers and want to set up each of their calendars on your Pc, you will have to complete the process for each photographer's calendar. Paste the link that you originally copied from Tourbuzz into the popup box, and hit ok. 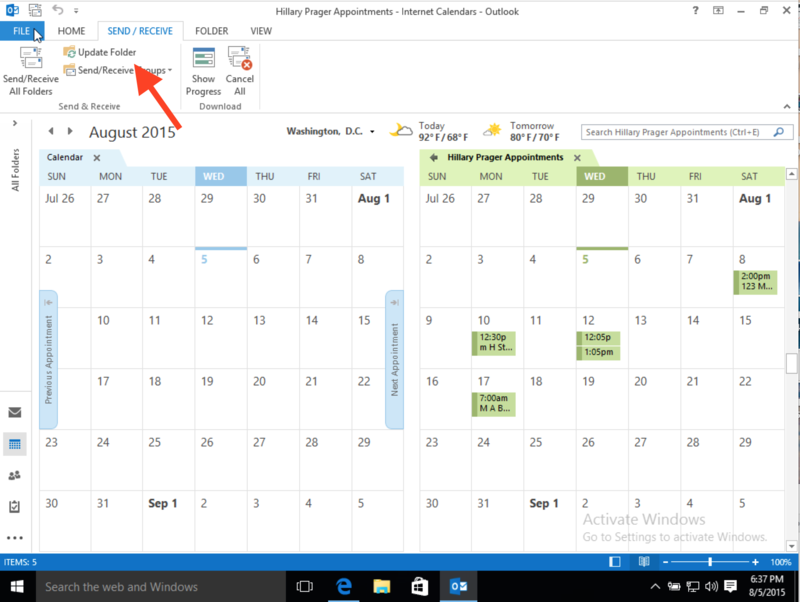 Your calendar is now loaded onto Outlook! 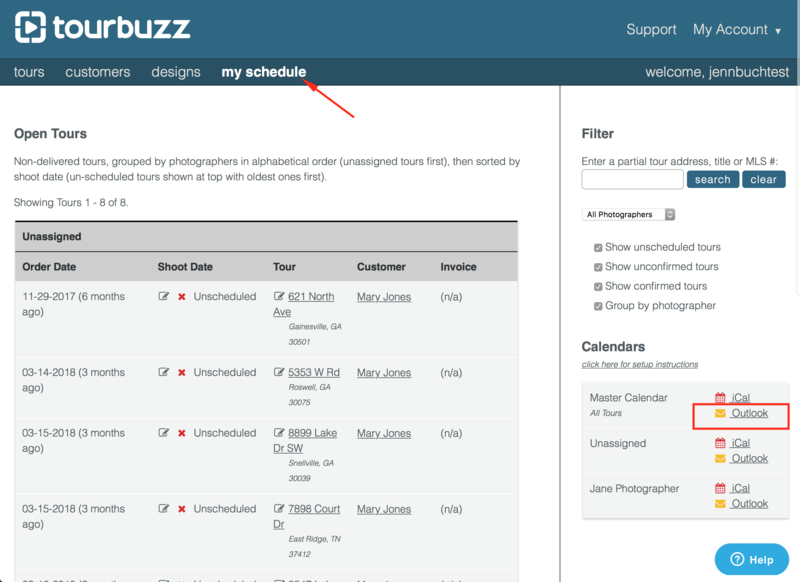 You can do this if you right click on the title of the calendar and click rename calendar, you can customize the name of your Tourbuzz Calendar. If you double click on any calendar time slot, an email will pop up, pre-populated with the shoot confirmation, customer name, phone number, map, and address. At this screen, you can update the shoot date and time and send yourself a reminder email. 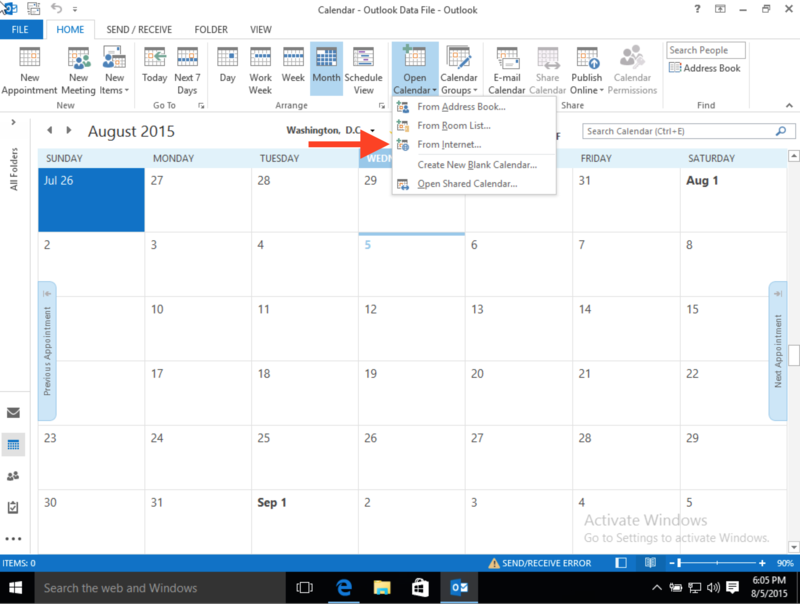 If you need to update your calendar, and Outlook hasn't done so already, there is an option to update your calendar at any time. To do so, at the top of the page, if you click on the Send/Receive Tab, and then click on Update Folder. Your calendar should now be updated.